The term natural means, of course, "from nature." A sapphire which is not "from nature" is one that is man-made, such as the sapphires that can be produced in a laboratory using a method known as flame fushion. These synthetic sapphires are real sapphires -- they are composed of crystals of aluminum oxide just like natural sapphire -- but they are certainly not natural sapphires. However, often the term natural sapphire is used in contrast not with synthetic sapphire, but with sapphires that have been treated in some way. This is where the use of the term natural can become confusing. This is because a sapphire that has been heated to improve the color and clarity, for example, is nonetheless a sapphire that was mined from the earth -- in short, a natural sapphire. Perhaps the purists who resist calling the heated sapphire "natural" want to reserve the term "natural" for sapphires that are "fully natural" or not improved by human intervention. But if that is so, we would have to exclude all the cut and polished sapphires which have improved by the art of gem cutting. The lapidary art brings out the color and luster of the natural mineral. If the term natural sapphire has to be reserved for only the rough stone dug from the earth, then it is not in fact a very useful term in the gem and jewelry business. Most consumer are not interested in wearing an unpolished clump of aluminum oxide. We should recognize that the term natural can distract from many other considerations that are important in judging a fine sapphire. In point of fact, all sapphires come out of the ground unheated. Unfortunately about 99% of these natural sapphires are ugly and unsuitable as gemstones, due to poor color, lack of transparency, large inclusions, fractures, and so on. Sapphire treatments are designed to increase the meager yield of gem-quality natural sapphire from the mine. 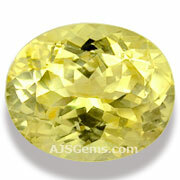 High temperature heating can improve the color and clarity of many sapphires. It is sometimes noted that this heating process is similar to a process that can take place in nature. Other treatments, such as lattice diffusion, involve heating sapphire with a light element such as beryllium. While pemanent and stable, this is a more invasive treatment. 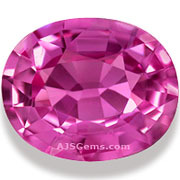 Untreated sapphires with top color and clarity are of course more valuable than treated sapphires of equivalent quality. The problem is that the number of high quality untreated stones is so small. Treatments that can improve the color or clarity of gem quality natural material will always be used, and they will be used more frequently as the rare natural material becomes even rarer.